With KMS, the economic data of your company can be managed and optimized easily and clearly. Eating out, keeping the food available as well as paying the wages for the increase or decrease of the personnel numbers are the highlights of this module. For example, your coworker has the option of reevaluating his menu selection at the time recording terminal. The staff in the kitchen has such information and can prepare in the menus to respond accordingly. 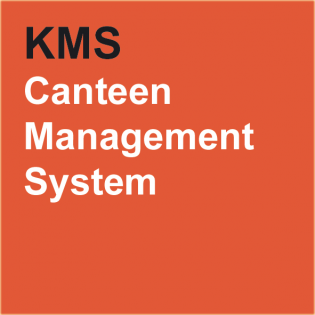 A canteen account is held per employee. The capability exists where on a monthly basis both the wage and salary system account can be transferred. Other options are advance payment, cash or the cashless charging of the canteen certificate. With the new module (TC110) an online canteen in your organization is now available. This enables your personal portal for ordering your canteen menu. The order addresses of the suppliers are automatically taken into account along with the products of different delivery services while integrating their daily menus.